What: Soccer game for any former players of Lancer Soccer Club or Lake Park High School to raise money toward a scholarship for a current deserving senior soccer player. Cost: Minimum of $20 donation to the scholarship is required to participate. All participants will receive a t-shirt. RSVP: Email Lancersc11@gmail.com with confirmation and t-shirt size. Chris was a valued member of the Lake Park High School staff for twenty-one years. In addition to working in the Technology Department, he was also an integral part of the Lake Park soccer team for many years, where he served in a variety of capacities, including assistant coach and announcer for the boys team and head soccer coach and announcer for the girls team. 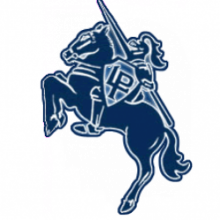 In his memory, Chris family annually awards a college scholarship to a deserving Lake Park High School senior student who is currently on the boys soccer team.